Whether its with us or with someone else, remember to compare every time! When you receive your car insurance renewal pack each year what do you do with it? Most policyholders check how much their annual premium is increasing to, work out how much the extra amount is on a monthly basis, mutter a few words of disgust under their breath and then just file the paperwork under “car insurance” and wait for the direct debit to come out of their bank account for the increased amount. 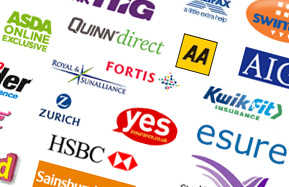 In the last three years just under 33% of motorists haven’t bothered to get a comparison quote with drivers 55 years of age plus proving particularly loyal to their existing insurer. This course of action may be convenient but it could be costing you and millions of other motorists a lot of money- in fact it is estimated that motorists are wasting between £3bn and almost £5bn per annum by not shopping around to see if they can get the same cover for a lower premium. With car insurance premiums at record levels having, on average, more than doubled for comprehensive car insurance in the past three years it is possible to make savings just by spending a few minutes online comparing premiums with other car insurers. Interestingly, 33% of drivers who renew their car insurance with the same insurance company each year do this because they believe that if they were with the cheapest car insurer last year that will continue to be the case at renewal. Potentially, this is a false sense of loyalty, as all car insurance companies have had to increase premiums in the last two years. One female customer, with 5 years no claims discount, had been paying £576 per annum for her comprehensive car insurance over the past twelve months. The renewal notice arrived and the premium had reduced to £531 because she was to benefit from having an extra year’s no claims discount of 6 years. No further action was required by her as the policy would just renew automatically and the premium would continue to be taken out of her bank account-very convenient. However, she decided to get a quote from a price comparison website and found that she was able to get the same cover with another insurer for only £357 so made the switch. So, when you next receive your car insurance renewal pack what are you going to do? Sit down at the computer and key something like ”car insurance quote” into your browser’s search box when you will then be presented with numerous car insurance companies, brokers and price comparison websites offering you free, no obligation car insurance quotes. 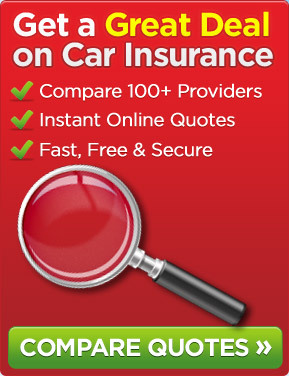 Select a price comparison website, like the one you are presently on, key in the required information and, although not all car insurance companies use price comparison websites, you will be presented with quotes from several different car insurers plus you should be able to read the product details to ensure that you are comparing like with like. You may be pleasantly surprised at just how much you can save by switching insurers and that can all be done within a few minutes. The above information was correct when published in October 2012.